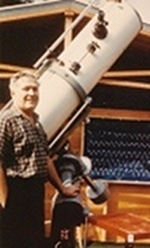 The American Association of Variable Star Observers purchased the former headquarters of Sky & Telescope magazine on December 27, 2006. This property, at 49 Bay State Road in Cambridge, Massachusetts, is about one hundred feet from the AAVSO's former Birch Street headquarters. The acquisition doubles the AAVSO's available square footage, providing space for the association to grow. The American Association of Variable Star Observers turned 100 years old in 2011, and this new building forms the foundation of its growth plans for its second century of operation.